The Brahma Kumaris are a new spiritual tradition. The movement has more than one million adherents worldwide. As with all spiritual traditions, the Brahman Kumaris are different, bewildering and fascinating in their newness and in their complexity. In 1936, in Hyderabad in Sind, an old millionaire diamond merchant named Lekhraj Khubchand began to have visions. These led him to start meetings in his own home which were attended mainly by women. 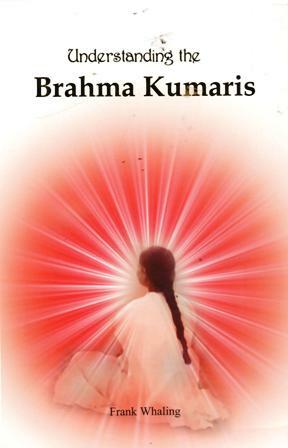 This was the beginning of the Brahma Kumaris. The Brahma Kumaris moved later to Mount Abu in Rajasthan in India and this remains their headquarters. Through phenomenology the author attempts to `get inside` the Brahma Kumari tradition from the inside. Phenomenology involves putting one`s own world-view aside in order to understand the world-view of others. Applying `epoche`, to avoid bias, and `empathy`, to engage sympathetically, the objective of this study is to understand, as far as is possible for an outsider, this new tradition from within. Frank Whaling is emiritus professor of the study of religion, University of Edinburgh. He has taught and researched in many countries including India, the USA and South Africa.